EveryLibrary is proud to partner with Bibliotheca to bring an exciting fundraiser to ALA Midwinter in Seattle on Saturday January 26th from 9pm-1am at FlatStick Pub South Lake Union. Built on the success of the sell-out fundraiser at ALA in New Orleans and the fun we had throwing axes in Philadelphia during PLA, we are planning another sell-out event with a lot of fun activities, free drinks, and networking opportunities for attendees as well as special guests! If we don't sell out, tickets at the door will be $45 so get them soon! The event will be held at Flatstick Pub South Lake Union. With the purchase of a ticket, attendees will enjoy an open bar with beer, wine, and well drinks and access to everything that Flatstick Pub has to offer. Throughout the night we will also be giving away t-shirts, ribbons, bottle openers, coupons for our newest book, “I Love My Library” stickers, and more. But, we’re really excited to announce that we’ll have Nancy Pearl live and in-person. 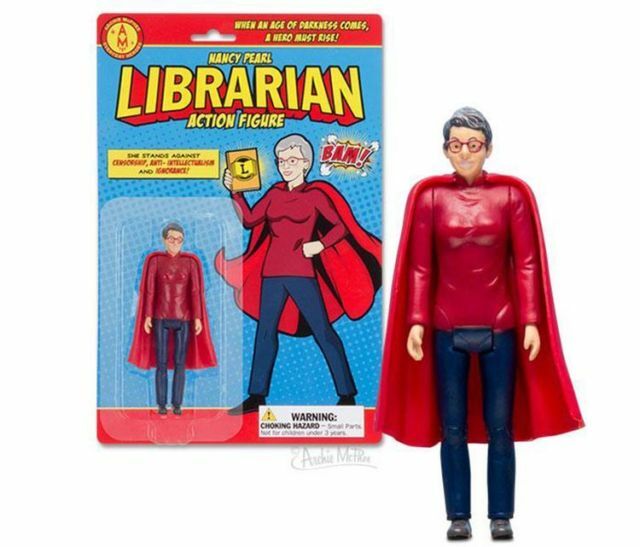 Plus, we’ll be selling her latest action figures and her book and she will be there to sign any of your Nancy Pearl memorabilia so don’t forget to bring whatever you already have! As part of EveryLibrary’s partnership with the Kitchen Sisters’ NPR broadcast podcast entitled The Keepers, there will also be a live taping of an NPR podcast at the event with confirmed guests to include Nancy Pearl and possibly a few other library and literary luminaries. 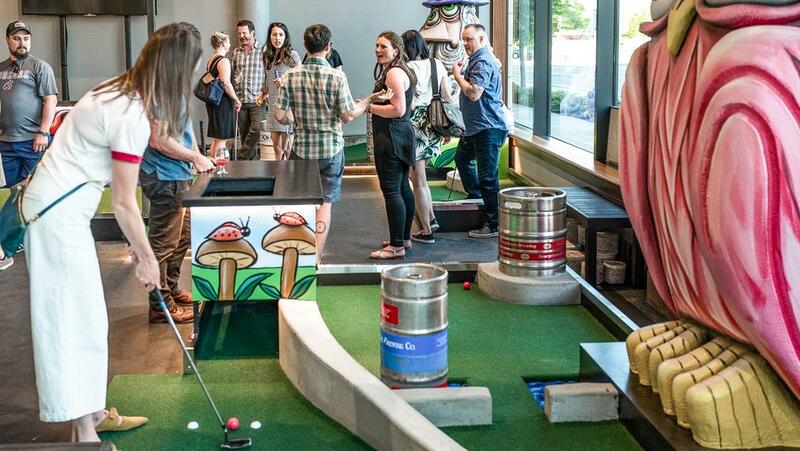 This venue is a casual beer focused pub featuring a unique and challenging miniature golf course. They only offer beer from independent breweries located in great state of Washington. In addition to mini golf you’ll find original golf themed games invented by the good folks at Flatstick. These games include Duffleboard™, Cup Hunter, and ‘stick putt!™ and you won’t find them anywhere else. If you can't make the event or aren't attending ALA in Seattle, you can still help another librarian attend while supporting libraries with your contribution with the Gift a Ticket option! We'll find someone to attend in your place. Umm, yeah. I’ll be there.